Fracability evaluation is one of the great challenges during the shale gas development, which has become a hotspot for the exploration of unconventional oil and gas. Although much research work was conducted and some evaluation models were developed, most of them could not be applied to practical engineering operations for deep shale gas development. 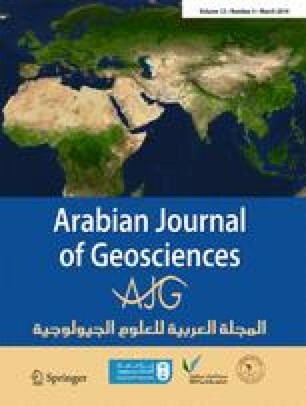 In this paper, a multi-level sub-system was developed based on the analytic hierarchy process, and then, a catastrophe evaluation model, avoiding over-subjective in defining the weighting coefficient of factors, was proposed to evaluate deep shale reservoirs’ fracability by using the catastrophe theory. Finally, the model was verified by using engineering data in five deep shale gas wells. The analytic results showed that the calculated results of the catastrophe evaluation model are in good agreement with the facts compared with the analytic hierarchy process. Moreover, the general expression for the potential function and its normalization formula of the common catastrophe model with arbitrary dimensions could also be derived recursively to meet practical applications. Therefore, the catastrophe evaluation model was simple and suitable for the wide application, which provides new sights for the pre-fracturing prediction and post-fracturing evaluation during deep shale reservoirs development. The work of this paper has been supported by the National Natural Science Foundation of China (No.51674272), the National Science and Technology Major projects of China (No.2017ZX05009-003), and the key project of jointly funded by the National Natural Science Foundation of China (No. U1762211). At the same time, I am very grateful for the support of CNPC Engineering Technology R&D Company Limited and the authors of the references in this article. If you have any problems, I am pleased to welcome e-feedback to zhaiwbdrilling@hotmail.com.